Shows how the concepts of vectorization and design masks can be used to help the designer in comparing different designs and making the right choices. The book addresses series and parallel multicell conversion directly, and the concepts can be generalized to describe other topologies. Thierry Meynard is Directeur de Recherches CNRS at Laboratoire LAPLACE, ENSEEIHT, INPT, University of Toulouse, France and part-time consultant at CIRTEM (Centre d'ingénierie et de recherche en technologies de l'électrotechnique moderne). 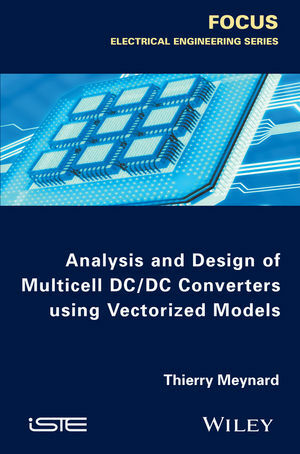 He is the co-inventor of various topologies of series multicell (multilevel) converters and has been involved in the transfer of several of these topologies to industry, especially in the field of medium voltage drives (typ. 1-10kV, 1-10MW). In recent years his research interests have focused on parallel multicell (interleaved) converters for application in low voltage embedded applications (<1kV) and on the design of corresponding magnetic components.